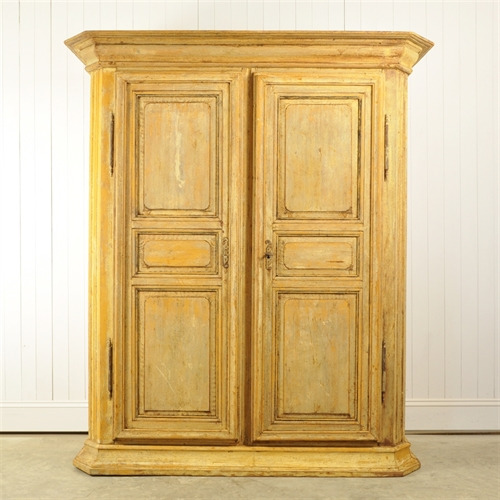 18th Century French Cupboard, - Original House – Decorative Antiques, Vintage Industrial Furniture and Lighting, Cotswolds. 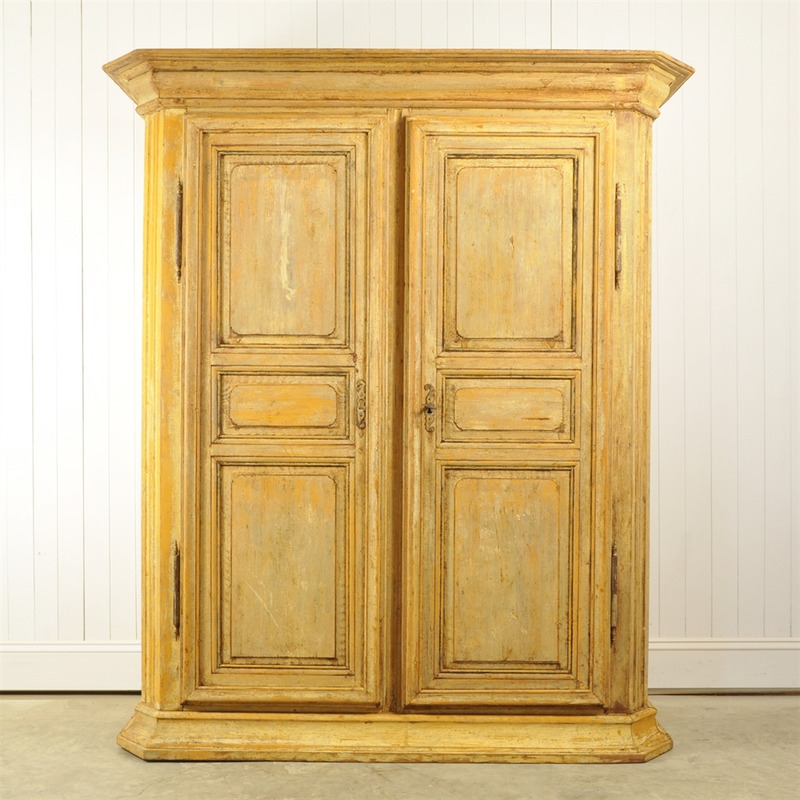 This wonderful antique armoire was sourced from a house in Lyon. Fantastic original paint and the detailing to the construction and the carving is very impressive - such craftsmanship. In great structural condition with a few bumps and scrapes here and there, it is not perfectly square but pretty amazing for such an old piece. We love to think of this placed in a crisp modern environment. 199 cm h x 175 w x 64.5 d.
More shelves could be added if required.